Nathanael O’Reilly’s Distance is threaded with daily objects and locations pressed carefully against each other for maximum coverage within minimum space. 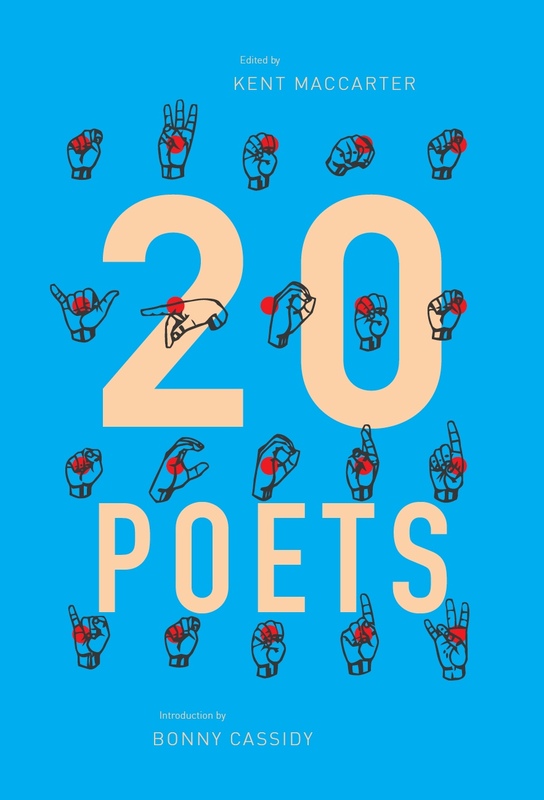 O’Reilly’s poems can travel whole countries in a couple of phrases, or emotional landscapes that dart from comfort to the homesickness we glimpse via the sparse beats charged with its evocation. Are these diary entries that we’re reading? The poems are written in the dappled shades of fading summer childhoods, teenage-dom and young manhood – Youth and Young Manhood as Kings of Leon would have it – so that I feel both trapped in the promise of a golden Big M commercial and also in the sinister late afternoon-feeling of walking to a park/creek/bus stop, vaguely wondering whether the bullies-on-bmx are close by. That is to say, the evocation works. This is a realist, subdued landscape; it is smoothly and achingly bittersweet. I am completely with O’Reilly, even as I claw to get out of this perhaps-nostalgia he has taken me into. He has accorded equal value to each of the locations that mark expatriation and distance by the book’s geographically titled sections. His treatment of childhood – tough and plain Ballarat – is as evenly pitched as his Texas poems, or his poems of Ireland, or parts of backpackers’ Europe. The collection also speaks generationally. ‘The Keating Years’ signposts this, speaking unambiguously of the low expectations of Generation X coming-of-age. Although I feel as though I’ve read this before (a feeling I have through much of the work), it is executed with a grace that I’m grateful for. The language is hard-working and serviceable, and always the most literal and familiar option: ‘While taking the rubbish out/beneath the bleak Autumn sky’ (‘The Backyard, The Coffee’, p 30), ‘Christian girls with crosses/dangling in the depths/of exposed cleavage’ (‘Christian Girls’, p 69), ‘Planting steel ladders between/branches heavy with fruit’ (‘Fruit Picking’, p 24). No intention is left to chance or allusion. There is simplicity in sharing cheap wine, or cider, or the crinkle cut chips of childhood. And no expectations of anything better. Except that it did get better; O’Reilly is locating himself in the present, removed from Australia by the book’s end, in a new setting (perhaps not ‘home’, but neither entirely foreign). If there’s an overall message to Distance, it would be that in leaving we can never really come back, but that staying is its own tricky mess. The leaving of suburbia has its own place within this that can be traced to any kind of identity awakening that disrupts, whether educational, spiritual, social or otherwise (and it’s notable that O’Reilly has a scholarly research interest in suburban studies). The Australian way is to leave with ambiguity, and he has honoured that tradition well. And sped through cornfields to hold you. Is this collection homage? I think it is more archival than that. There is a great need in these poems to record and catalogue, in order that people he has known (and left) are given due respect. The marking of events hopes to pin the memory to a timeline so that this moment – the present – is brought into higher relief. The present seeks to be more sweetly resonant than its backdrop of choices and circumstances. Departures are an ending, no matter how much the present would like to consider them ongoing strands. The poems know this; in this way, the collection is a statement of the universality of loss. Clear, lyrical poetry provides the most direct route to ponder impossible, unwieldy questions of how to live well. 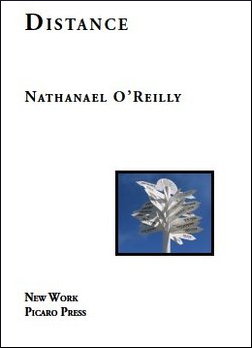 O’Reilly’s work has a relationship to posterity, as though quietly amassing these histories contributes to an arc broader than the sum of its parts. When read in one sitting, it goes close to this. How can poetry enshrine a life’s key experiences, or protect the past? That’s the paradox, discomforting and hopeful. Distance is thoughtful and limber, as it moves us to these questions, and the possibility that it can’t. Time keeps moving. This entry was posted in BOOK REVIEWS and tagged Melinda Bufton, Nathan O'Reilly. Bookmark the permalink. 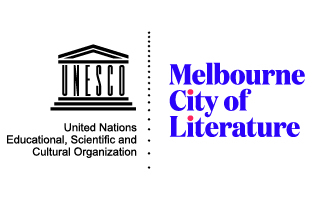 Melinda Bufton is a Melbourne poet and reviewer. Her work has appeared in Rabbit, The Age, Southerly and Chinese poetry journal Du Shi. Her forthcoming debut collection will appear in Spring, 2013.